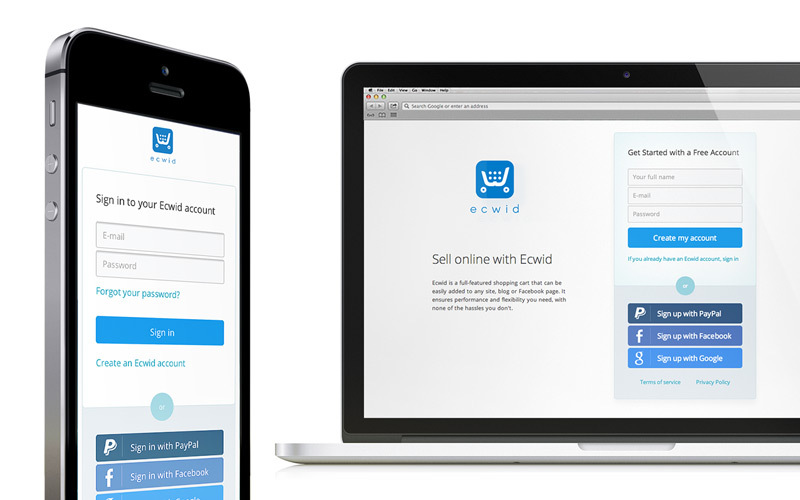 We’ve released a brand new version of our login and registration page. You can find it at my.ecwid.com next time you log in to Ecwid. To see it now you can log out from Ecwid or open it in an incognito/private tab of your browser. The new page is awesome and is the first step in our big plan for the modernization of all Ecwid interfaces from the control panel to storefronts in 2014. Our new login page is clean and beautiful — it has been built from scratch using all modern web development standards (HTML5 and CSS3). The Control Panel login page is fully responsive and mobile ready, so it looks great on your phone. All images on this page are vector graphic, which means they look great on high pixel density screens (“Retina displays”) and under zoom. We changed the loading indicator when the control panel is opened. We want to make sure the first page is aesthetically beautiful every time you login to your Ecwid Control Panel to manage your sales and edit items. Stay tuned for further updates to the control panel and storefronts!